Once cash was no longer king, iZettle swiftly became one of the hottest contenders for the throne. With smart, simple mobile payments, iZettle changed the way we pay for things – opening new doors for small businesses and vendors on the go. From food trucks to fundraising, iZettle’s mobile payment solution has been pivotal in bringing freedom and mobility to vendors and entrepreneurs everywhere. In a new era of contactless payments – and a rapidly shifting market – iZettle needed to take their card reader solution to the next level. This meant transforming their brand values into a superior physical user experience, for both retailers and their customers. For such an iconic brand, we wanted to create an equally iconic second product. We started off by conducting user studies to find out what was already working well, and where there was room for improvement. This led to a set of new brand values which we turned into design principles. These served as a foundation during the whole design process from UX to UI and ID design, and ended up in a coherent, solid user experience: Simple, Trustworthy, Disruptive and Magical. A combination of small tweaks, major revamps and complete re-thinking resulted in a new and improved iZettle, featuring a clean, friendly design, razor-sharp technology and a fun, smooth user experience. The new iZettle accepts all major credit cards and contactless payments, and is also compatible with Apple Pay and Android Pay. Transactions are now even faster and more secure, making payments on the go a breeze for both vendors and customers. 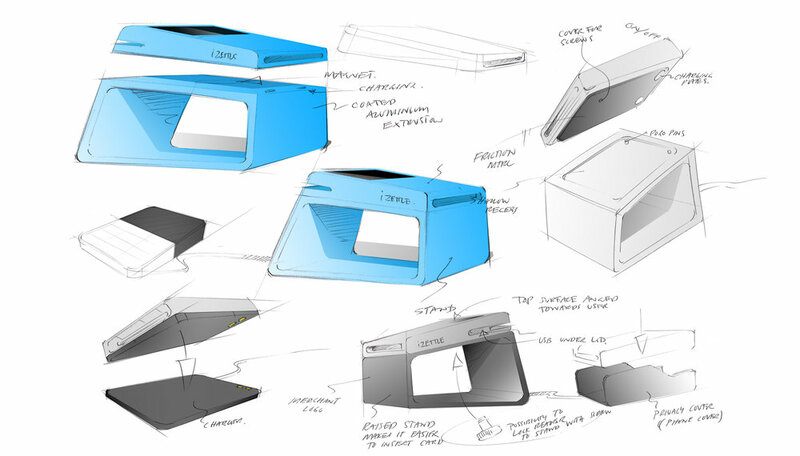 With the new iZettle, the mobile payment pioneer furthers its position as a disruptive leader. 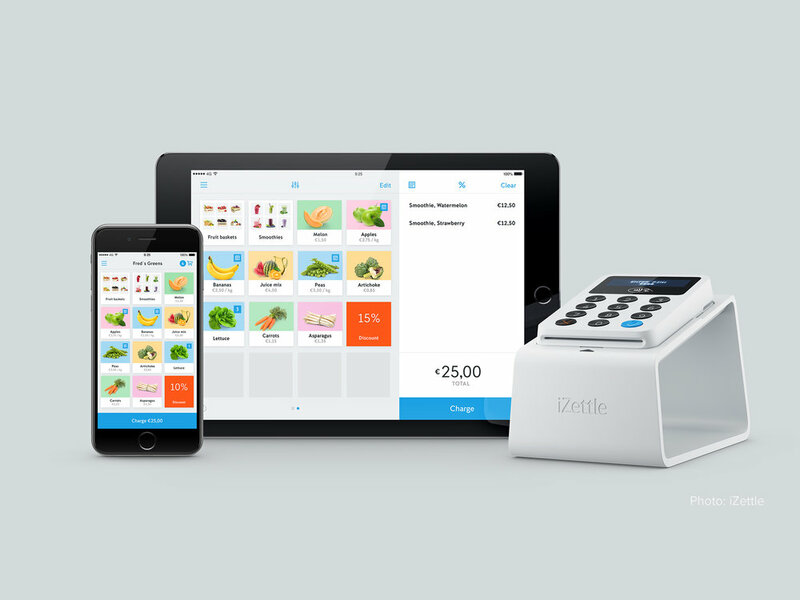 iZettle's mission is as cool as their products: empowering small business owners by offering them the tools typically reserved for bigger players. Simply put, they’re rooting for the underdog. A big display with big buttons convey simplicity but under the hood, we have crammed in a looong battery life, lightning-fast payments for Apple Pay / Android Pay and acceptance of the broadest range of credit cards. The dock is more than a charger. It is almost like a throne that would make Jon Snow shiver with respect to the power. It brings the reader closer to the customer and creates an airy yet solid visual language that speaks volumes. iZettle offers solutions that let anyone take card payments and help them manage and grow their business. The iZettle platform is suitable for all trades and sectors: it's currently being used by a range of merchants, from plumbers to barbers, books shops, street vendors, hair dressers, taxi drivers to coffee shops.